The Vecdos eTwin series of servo driven high-performance metering units is the ideal solution for any intermittent two component metering application. The volumetric shot metering units are modular and flexible in combinations for different mixing ratios. The design is optimal for difficult and abrasive materials and available for smallest shot volumes. The smart metering control provides unmatched reliable and repeatable precision in your metering application. 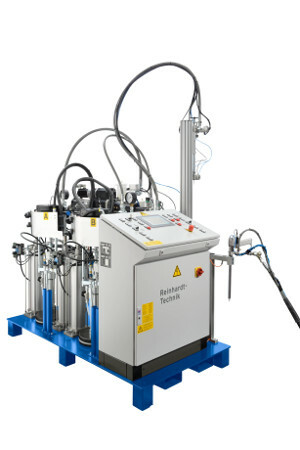 Servo controlled volumetric dosing units for precise and repeatable adhesive and sealant application in automated lines.